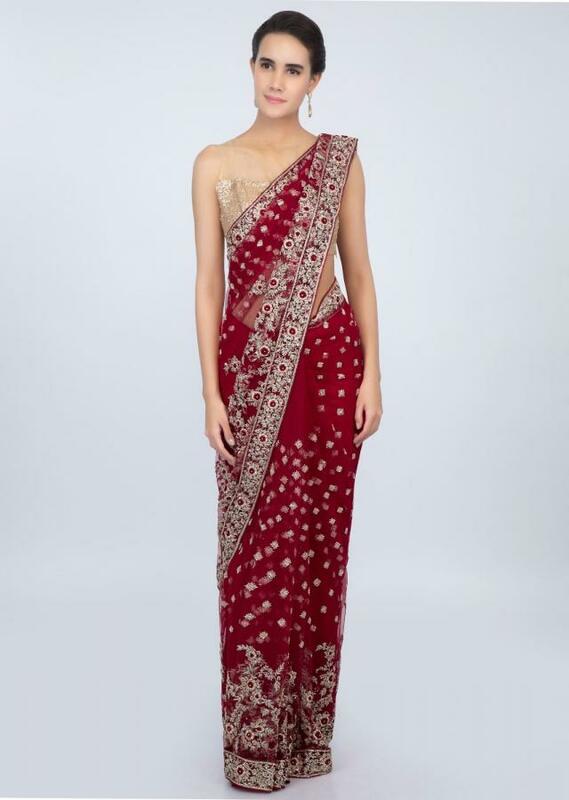 Blood red hard net saree with embroidered butti and border. 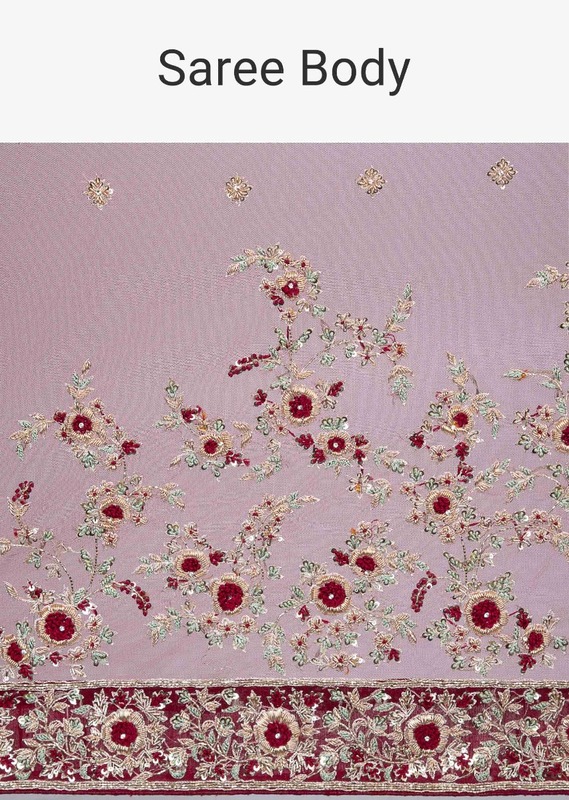 Embellished in zari, zardosi, sequins, french knot , cut dana work in embroidery and butti in floral motif . 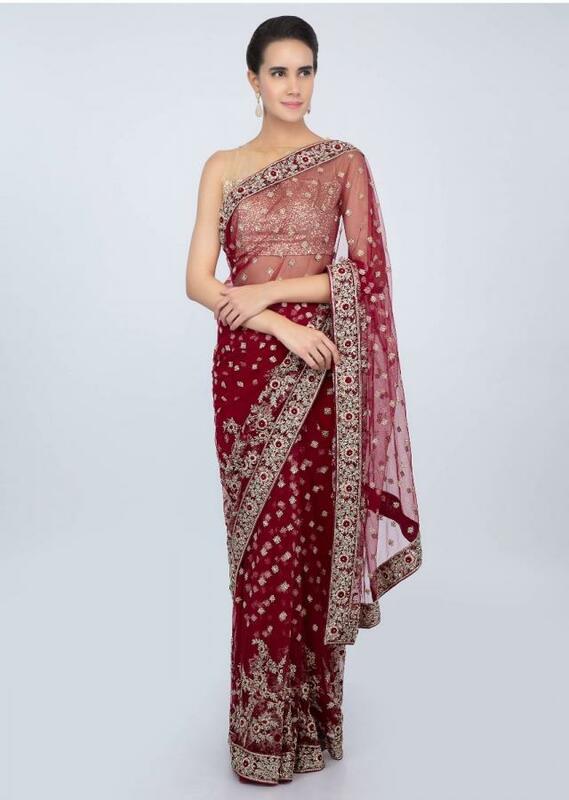 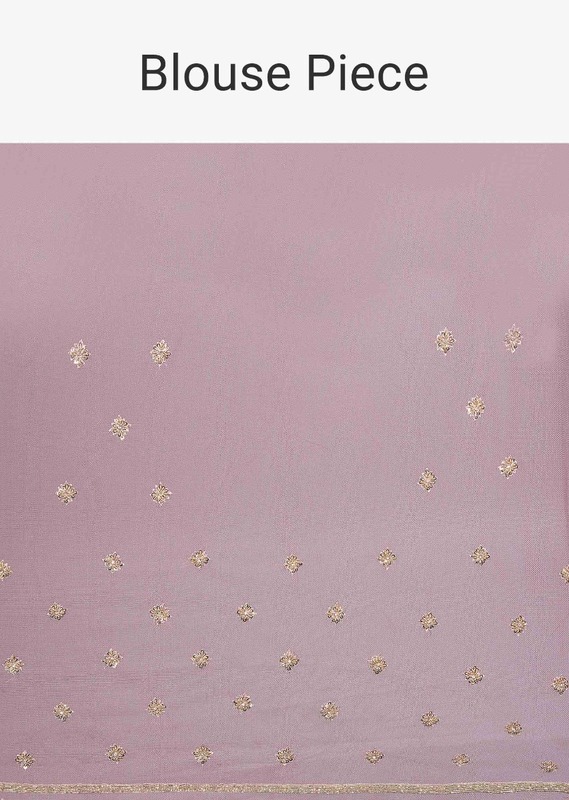 It comes with a matching unstitched net blouse with embroidery .